KUALA LUMPUR, Feb 2 (Bernama) — The Malaysian International Halal Showcase 2018 (MIHAS 2018), from April 4-8, 2018 at the Malaysia International Trade and Exhibition Centre here, will be the largest and best platform for halal industry leaders to showcase their products at an international level. Malaysia External Trade Development Corp (MATRADE) Food, Biotech, Halal Unit Products and Services Promotion Division Director, Mohammad Aminuddin Sham Tajudi, told Bernama the halal industry was growing rapidly on strong demand from both Muslim and non-Muslim consumers globally. “We expect visitors to increase by 10-15 per cent, or 26,000, at MIHAS 2018, which will have over 1,000 exhibition booths. “The participants will include firms from Association of Southeast Asian Nations, Turkey, South Africa, Palestine, Iran, United Arab Emirates, China, Japan, Taiwan and South Korea, among others,” he said. Aminuddin said the choice of a new location this year was expected to attract more exhibitors. “MIHAS 2018 will debut several new sectors that are expected to interest visitors seeking better understanding on the halal products sector. “Among them are financial and takaful services, halal logistics, digital business and tourism,” he said. In another development, he said, the International Sourcing Programme was expected to bring higher quality foreign buyers to help local businesses move into the global market. “Premium quality buyers from around the world will meet with local exporters to familiarise themselves with halal products and services that can be marketer overseas,” he said. 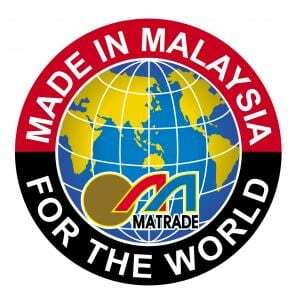 All 46 MATRADE offices worldwide have been identifying companies that are interested in buying Malaysian halal products. Last year, INSP generated sales of RM300 million through over 2,000 meetings between 156 foreign buyers from 44 countries, he said. More information on MIHAS 2018 can be found at www.mihas.com.my.